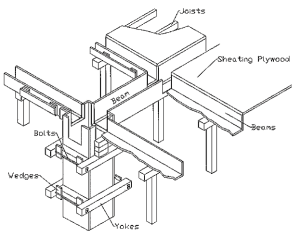 Forms are molds to receive concrete in its’ plastic form. 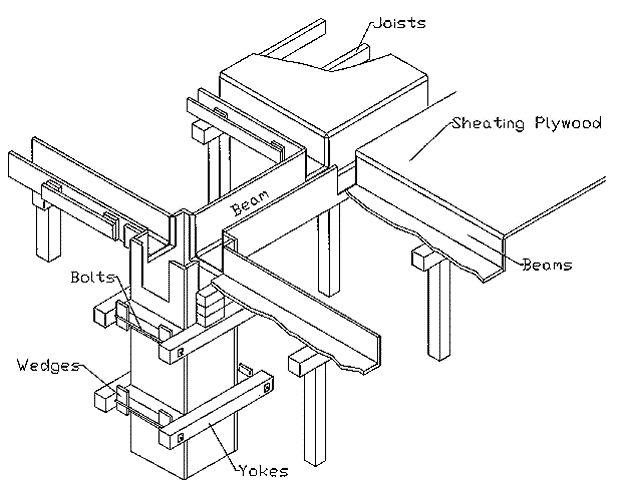 Formwork is temporary structure, as such, it is not normally shown on the drawings. Complicated shapes of concrete are more expensive because of labor cost and reuse of forms. Majority of cost is _____?? Not ____?? Number of reused largely controls _____?? Cost. Any opening < 100 sq. ft.